Throughout my career I have been asked a variety of questions about marketing and public relations from start-up entrepreneurs to Fortune 500 executives. I’ve always said that marketing is more art than science, but with some experience, I’ve determined some commonalities and things we can all employ to grow our businesses. 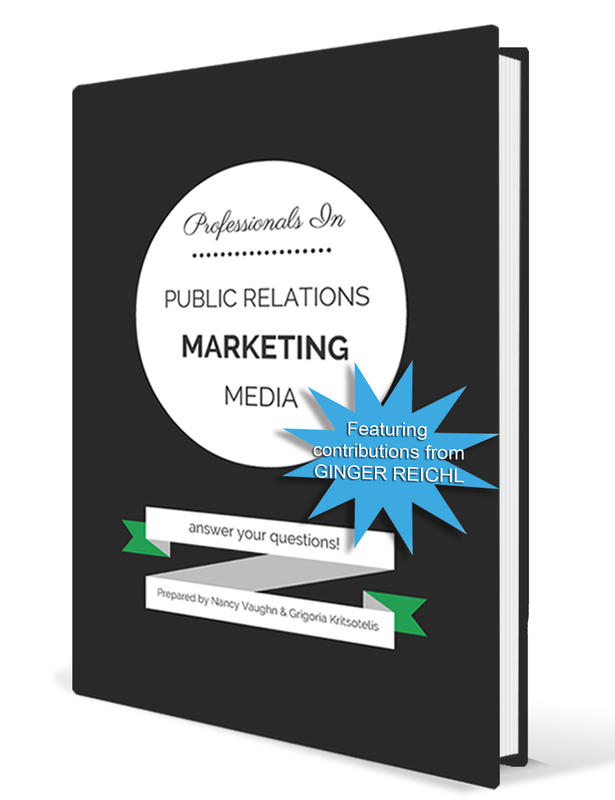 I am honored to have been selected as a one of seven contributors to answer some of the most common questions in this new book, Professionals in Public Relations, Marketing and Media Answer Your Questions, compiled by Nancy Vaughn and Grigoria Kritsotelis. How do I reach my target audience at the right time? How do I ensure proper brand exposure for my business? What are the most common marketing mistakes that businesses make and how do you fix them? What are three cost effective ways to get my marketing strategy off the ground? I’m ready for the press, why isn’t the media calling me? Why is marketing/branding/PR, etc. so important to a small business? What should I expect from my PR firm? What do media producers/editors look for when considering a business for a possible story? How do I determine possible key performance indicators and why does it matter? When it comes to marketing, what are the things you should look out for? Download a free copy of the book and let me know if you have other questions!